2014 membership due APRIL 30th. 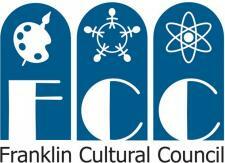 You need to have your membership paid in order to receive a free business listing in the new Franklin Brochure. Please fill out the application with your check. Click here to download and print your 2014 FDP Membership Application. Beautification Day (May 17) and Strawberry Stroll (June 12) sponsorships are due in May. If you are planning to sponsor, please e-mail the FDP office at downtown.franklin@yahoo.com so we can include you on the flyers. Click here to see our list of Sponsorship Opportunities. Click here to download and print a Sponsorship Registration Form. If you are interested in participating in the Steering Committee that will be developing ideas for the Emmons Street property, please contact Denise Schultz at deniselynnschultz@gmail.com or the FDP office at downtown.franklin@yahoo.com. Wednesday, April 16th, 5:30 p.m.
Wednesday, April 16th, 7:00 p.m.
Thursday, April 24th at 7 p.m. in the Community Room of the Franklin Public Library. Note: Rescheduled from April 17th. The primary purpose of the meeting will be for the Cultural District Partnership (governance/management structure) to form and begin moving forward as its own entity. This meeting will also serve as a means for continued discussion about the Cultural District's geographic location (map critique) and discussion about the purpose and function of the Cultural District in general for the Town. Contact: btaberner@franklin.ma.us. Agenda will be posted on the website shortly. Saturday, May 17th, 9:00 a.m.
All businesses should remove holiday greens from their barrels this week. Contact Eileen Mason at emason11@verizon.net if you plan to volunteer. All paid 2014 FDP businesses will receive a free listing. Terri Frank will be emailing advertising options soon. Please note there is very limited space to advertise, so if you are interested you should contact Terri as soon as you receive this information. Since the brochure will be printed by the end of May, we will Not be able to include any members who pay their membership late. The booth form will be posted on the FDP website June 15th. Terri Frank will be the contact this year and will be sending out information to current members. 2014 members will get a chance to sign up early before non-members.